Energy usage is prevalent in all urban conditions including transportation, food and water production, waste management, and infrastructure. Large amounts of energy will be needed for Fordhamopolis to function as populations will require housing, food, clothing, transportation, and heat. In order to promote sustainable living on a larger scale, Fordhamopolis will reduce natural resource usage, shift energy usage to renewable sources, adapt to urban agriculture, and promote the use of energy efficient public transportation. Through both active and passive energy efficiency techniques, Fordhamopolis can significantly reduce its environmental footprint. Passive energy techniques involve less action or intervention through concepts of solar orientation or increased insulation. In contrast, active techniques require technology to alter buildings or systems to provide maximum efficiency. 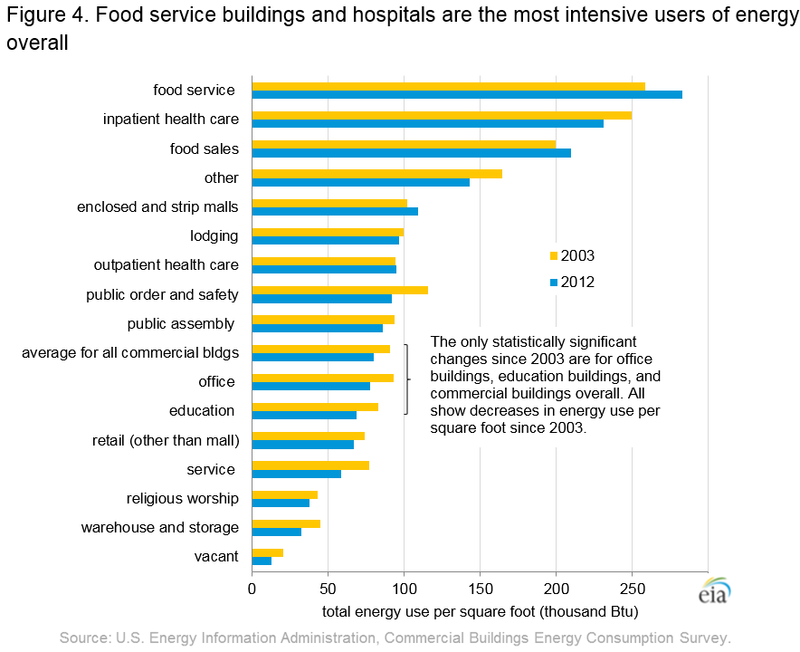 6,352,220 kWh per Office Section of Each Building. The first active technique that would be implemented in Fordhamopolis are solar thermal panels. Solar collectors work by solar energy heating up tubes filled with liquid and covered by glass panels. These heated liquid tubes can be used for water heating or space heating. In addition to solar panels, photovoltaics are panels that convert solar radiation to electricity through heat absorption. Photovoltaic panels contain a crystalline silicon cell that converts light to electricity. When light is not present outside on a cloudy day, a solution is a battery system that can store excess light and distribute it. A new photovoltaic panel that is less cumbersome is known as amorphous silicon panels. These thin panels can be built into the building itself in a process known as building integrated photovoltaics. In Fordhamopolis, the most advanced solar cells, perovskite solar cells, will be used on our buildings and will produce electricity for the town. Perovskite cells are highly efficient with low costs of materials and fabrication. Perovskite structures have high conversion efficiencies and have high photon energy utilization, meaning energy loss is minimal during the light conversion process. This solar cell’s material consists of absorptive perovskite structures such as methylammonium lead trihalide, CH3NH3PbX3, where X can be atoms of iodine, bromine, or chlorine. Perovskite structures consist of the form ABX3 and contain a large cation of type A in the center of a cube while the corners of the cube contain type B cations. The surfaces of the cube contain smaller type X anions. Type A atoms include an organic cation such as methylammonium. Type B atoms contain a big inorganic cation such as lead. Finally, type X atoms are smaller halogen anions such as trihalide or chloride. Perovskite solar cells have high absorption of the electromagnetic spectrum, ultrathin film, are lightweight, and are very flexible. These cells are produced through a one step process, where methylammonium halide is dissolved in a solvent, spin coated onto a substrate, and produced through evaporation and self assembly. A perovskite solar cells consists of a metal back, electron interface layer, perovskite, hole interface layer, indium tin oxide, and glass. An average square foot of this solar cell could produce anywhere around 22 watts an hour. Multiplying this by the surface area receiving direct sunlight will get the total wattage produced from the building over the course of an hour. Now converted into kWh, it is important to calculate how many hours of sun the building receives a day during certain parts of the year. For these calculations, winter months will receive 8 hours of sunlight, and summer months will receive 12 hours of sunlight. Based on these numbers, one building, from solar cells alone, could produce close to 7.5 million kWh per year. From the high-ball, lower efficiency calculations earlier, a building would consume around 8 million kWh of energy per year. As energy collection technologies get better and the more efficient passive and active technologies are placed into the building itself, it will be easy to assume that the building could produce all of the energy that it needs and then some. If need be, it will have reserve power sources that it can tap into in order to receive the rest of the energy it needs. Wind energy is the next active technique that would be implemented in Fordhamopolis. Wind can generate electricity as it powers the wind turbine which powers a generator to distribute electricity. Wind energy is an example of renewable energy and is a great source of electricity. Turbines can now be incorporated into building designs as appendages of small turbines are added to building facades. An alternative to wind turbines that are more aesthetically pleasing are vertical axis turbines which can also be implemented into the construction of a building. 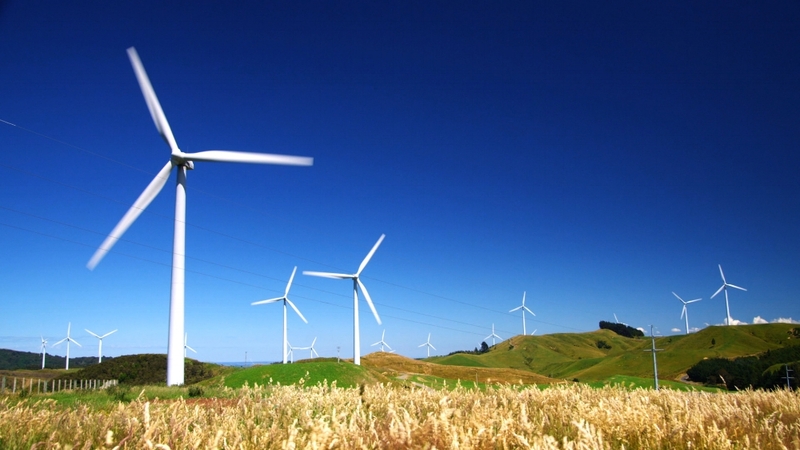 An average wind turbine can produce 6 million kWh of energy over the course of a year. Based on the amount of space allotted, these turbines that are being used can generate a substantial amount of energy for Fordhamopolis. On Cypress, a speculated ideal spot for these turbines is along the Troodos Mountains on the western part of the island. Research has been done showing that being along hilly areas of land is more efficient when placing the turbines themselves. Hui Hu, an aerospace engineer from Iowa State University, says that “wind making its way over hilly terrain recovers its power potential more quickly as it moves from turbine to turbine.” This means that the turbines can be placed closer together than they would on a flat surface. Not only will this region of the island receive more wind than other parts of the island due to wind getting funneled between the mountains, but the turbines can be denser due to how the wind reacts to the grade of the area. Sending electrical wiring across the island can be expensive and difficult to upkeep, but there are possible solutions that can be taken to skip this step while being able to transfer the energy to the city. Wireless charging has become prominent over the past few years with cellular devices, allowing for small portions of electricity to be transferred from the wall to the battery of the cell phone without a direct connection. It is this sort of technology that could be beneficial to this operation with the wind turbines. There has been a developing technology called the “Rectenna,” which is pretty much a wireless transmitter for large portions of electricity. Containing an RF-to-dc rectifier, the Rectenna is able to convert RF frequencies from the air into useful DC power. In theory, using this new technology, the Rectenna will be able to send collected wind energy through the air to a receiving Rectenna in Fordhomopolis where it can be collected and stored efficiently.